Are you ready to sweat, tone, nourish, and empower your way to your fittest, fiercest, most fabulous body and life? 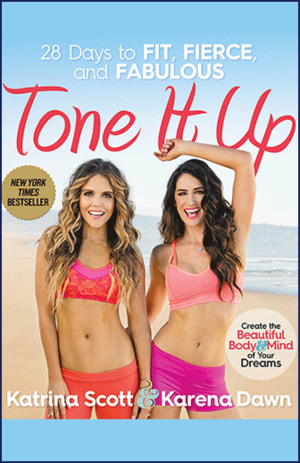 KATRINA SCOTT and KARENA DAWN, the founders of the Tone It Up fitness and health brand, have taken the world by storm with their fun, energetic, girlfriend-to-girlfriend approach to getting in shape. To them, being fit isn't just about looking smokin' hot in a bikini, but a whole-body, whole-life way of being that starts with respecting your body and taking care of your beautiful, amazing self, inside and out. With their 28-day program that incorporates brand-new fitness routines, delicious recipes, and mental and spiritual practices, you'll transform your body, your attitude, and your life to bring out the gorgeous goddess within you!